Unlucky in the draw to get Vienna New Year Concert Tickets 2020? This is your chance to finally see the famous New Year’s Day Concert live! We specialise in sourcing premium tickets, even when they are no longer available through the regular channels. The Vienna Philharmonic has a long tradition of presenting a new year’s concert consisting of the vast repertoire of Johann Strauss and its contemporaries. Broadcasted live on television over 80 countries it enjoys great international popularity. Thanks to many years of experience ProvidingTickets can arrange any ticket for The New Year’s Concerts in December 2019 and January 2020. Just send us your request and we will send you a personal offer very soon! All ticket categories available: Floor Seats, Parterre Logen Seating, Balkon Seating, Balkon Logen Seating, Galerie Seating, Orgelbalkon Seating and Standing Room Tickets. 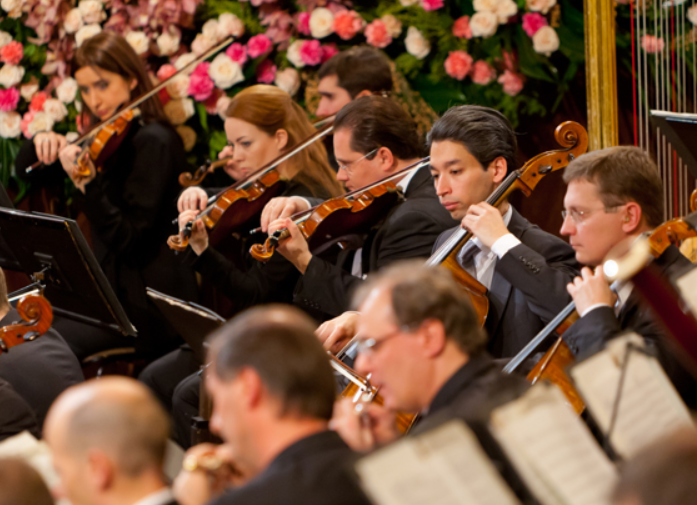 About the new year’s concert of the Vienna Philharmonic. While reading more you can listen to the music of the New Year’s Concert 2017 here at this Youtube video. Performed annually on 1st January, this concert tradition was started on 31st December 1939. This was under the guidance of legendary Austrian director Clemens Krauss. He is mostly associated with the music of Richard Strauss (not related to the famous Strauss family). The Vienna Philharmonic (Wiener Philharmoniker) was founded in 1842 and best known for their brilliant rendering of the Strauss waltzes. It took a while before they actually embraced the romantic music of the Strauss family. It was not until they had met Johan Strauss Jr. in person and had played his waltz “Wiener Blut” that they began to appreciate the music of this prodigiously talented family. At the time, being a classical musician equalled high social standing, a position not to be risked by venturing to play the highly popular music of the Strausses. Obtaining Vienna New Year’s Concert 2019-2020 tickets. At ProvidingTickets, however, we are able to secure coveted hospitality and VIP tickets for this world-famous music event that gives you a taste of Imperial Vienna. Apart from the opportunity to listen to breathtaking renditions of compositions by the Strauss family, you will also be treated to the timeless, romantic melodies of other legendary Austrian composers. such as Wolfgang Amadeus Mozart, Joseph Lanner and Franz Schubert. Do you normally watch the Vienna New Year’s Concert on television? 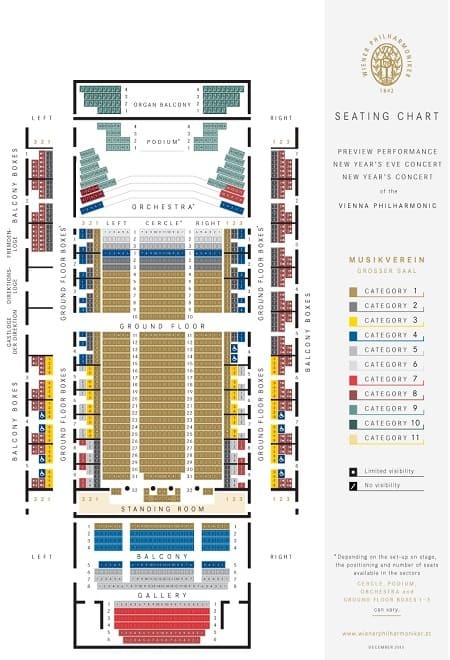 So you are looking for tickets now so you can actually be there in the “Großer Saal“ of the Musikverein to hear the “Radetzky March” and “The Blue Danube” being performed live? Just contact us. We will be able to sort out all your ticketing requirements for the Vienna New Year’s Concert. Finally get this off your bucket list!